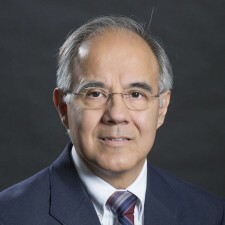 To learn more about Dr. Hector Bravo, visit his website. Transport of pollutants and heat in surface water and groundwater. Spectral analysis of hydrologic time series and climate variability. Bravo, H.R., and S.C. Jain, 1991. Flow fields in lower lock approaches induced by hydroplant releases, Journal of Waterways, Port, Coastal and Ocean Engineering, 117(4): 369-389. Bravo, H.R., Krajewski, W.F. and Holly, F.M. Jr., 1993. State space model for river temperature prediction, Water Resources Research, Vol. 29, No. 5, p. 1457-66. Bravo, H.R. and Holly, F.M. Jr., 1996. Turbulence model for depth-averaged flows in navigation installations, Journal of Hydraulic Engineering, Vol. 122, No. 12, pp. 718-727. Bravo, H.R., 1997. Modeling DO conditions in streams using Lagrangian advection method, Journal of Hydraulic Research, Vol. 5, pp. 643-658. Bravo, H.R. and Brown, G.H., 1997. 3-D modeling the groundwater hydrology of a wetland, Advances in Environmental Research 2(2), 153-166. Bravo, H. R. and Zheng, Y.-H., 1999. Free-surface models of turbulent flow over sand dunes, International Journal of Applied Science and Computations, Vol. 5, No. 3, pp. 207-219. Bravo, H. R. and Y.-H. Zheng, 2000. Turbulent Flow Over a Step with Rounded Edges: Experimental and Numerical Study, Journal of Hydraulic Engineering, ASCE, Vol. 126, No. 1, pp. 82-85, http://ascelibrary.aip.org/getpdf/servlet/GetPDFServlet?filetype=pdf&id=JHEND8000126000001000082000001&idtype=cvips. Bravo, H.R., 2001. A First Course in Fluid Mechanics for Civil Engineers by Donald D. Gray, Book Review. Journal of Hydraulic Engineering, ASCE, Vol. 127, No. 1, pp. 88-89. Bravo H. R., F. Jiang, and R. J. Hunt (2002), Using groundwater temperature data to constrain parameter estimation in a groundwater flow model of a wetland system, Water Resources Research, 38 (8), 1153, doi:10.1029/2000WR000172. Rodriguez A, Brea D, Farias D, Bravo HR, Castello E, Hillman G, Weber J, Pagot M, and Spalletti P, 2003. Hydraulic analyses for a new bridge over the Parana River, Argentina, International Journal of Sediment Research, 18 (2), 166-175, http://www.waser.cn/journal/full%20text/2003-2/10.pdf. Namdar G. R., Bravo H. R., Identification of Groundwater Discharge and Recharge Sites through Temperature Time Series Analysis, Hydrological Science and Technology, Vol. 21, 2005. Bravo, H.R, Gulliver, J.S. and Hondzo, M., 2007. Development of a commercial code-based two-fluid model for bubble plumes, Environmental Modelling and Software, Volume 22, Issue 4, Pages 536-547, doi:10.1016/j.envsoft.2006.02.009. Stack, D. and Bravo, H.R., 2008. Flow Separation Behind Ellipses at Reynolds Numbers less than 10, Applied Mathematical Modelling, http://dx.doi.org/10.1016/j.apm.2008.02.016. Namdar-Ghanbari, R. and Bravo, H.R., 2008. Coherence between atmospheric teleconnections, Great Lakes water levels, and regional climate, Advances in Water Resources, 10.1016/j.advwatres.2008.05.002.